It’s almost impossible to rock hard with only two acoustic guitars. “Bye Bye Love” manages to conquer the mountain, stand on top of it and wave the banner for that kind of style. It ranks in the top 100 Rock songs of all time for that alone and is certainly among the most influential Rock songs of all time for a legion of reasons. Simply put, The Everly Brothers have influenced all Rock harmony singers who came after them. "Bye Bye Love" is a song of simple sentiment perfectly suited to an adolescent fever that’s been broken by a love let down. Emerging from a performing family first in Shenandoah, IA, and then Knoxville, TN, the brothers fixed their sights on “Bye Bye Love,” even after it had been rejected by 28 other artists. They heard their voices working in tandem on the song even before they entered Cadence Records studios in 1957 to lay down the track. What came out of that session and the dozens following that the Everlys would work on is, to use the cliché, the stuff of legends. Their close harmonies; their rhythmic Rock-A-Billy-toned guitars with a “sandy” feeling that sounds rubbed and raw but refined as well, and most of all, their earnestness impregnated super-legend groups that immediately followed them. Their innovations continue to wield influence today. There are few Beatles voice duets or three-part harmonies in which one cannot hear the Everlys like benevolent ghosts swimming in the background. The Beatles’ reverence for their Everly roots starts as early as “All My Loving,” (1963) and extends as late as the celestial “Because” and “Here Comes The Sun King” on Abbey Road, which feature a nine-part harmony that can be traced directly back to the Everly Brothers. “Bye Bye Love’s” broader influence on the Fab Four can be heard in songs like “I’ve Just Seen a Face,” “And Your Bird Can Sing,” “Devil In Her Heart,” (in video to your right), “If I Fell” and “I’ll Be Back (Again).” Even songs that don't seem related at first glance tie back to the Everlys, "While My Guitar Gently Weeps" and "Hey Jude," among them. Vocally, no one embraced “Bye Bye Love” and the whole Everly repertoire as closely as did Simon & Garfunkel. For a while, they even wanted to be just like The Everly Brothers before Simon's songwriting bent took over. 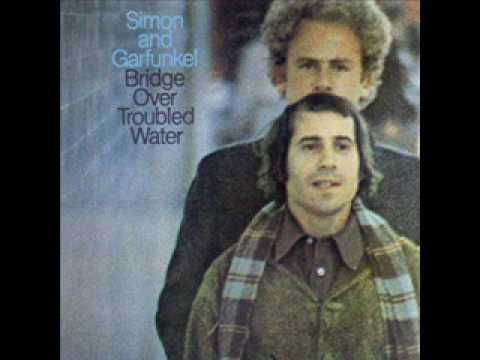 The interest with Simon & Garfunkel lies in their use of the Everly harmonies in angst-ridden songs such as “Fakin’ It,” “The Sound Of Silence,” “Hazy Shade Of Winter” and “Homeward Bound," all from the period 1964 through 1968. The Mamas & The Papas also came under the Everly harmony spell, notably in “California Dreamin’,” and the much-overlooked “Twelve-Thirty.” The chief alteration devised by The Mamas & The Papas is their application of the Everlys’ close harmonies by the two female singers and separately by the two male parts that then are joined to create a four-part harmony. Speaking of California, The Beach Boys captured and exploded the “Bye Bye Love” bomb. One is hard-pressed to begin to point out every Everly influence, but you can start with “Surfer Girl” from 1963 and move to 1966’s “Wouldn’t It Be Nice.” Even later, more musically complex works find the Everly’s surfing in to lend an avuncular hand: “Til I Die (I’m A Cork On The Ocean)” from 1971’s Surf’s Up album and “Summer’s Gone,” a poignant meditation on aging and the exuberance of youth from the album, That’s Why God Made The Radio (2012). “Bye Bye Love” is a motherlode of the roots goldmine of Rock-N-Roll. The Everly Brothers’ body of work from 1957 through the twilight of their blazing stardom in 1960 is imprinted on the DNA of Rock, a dominant gene if there ever was one. George Harrison wrote parody lyrics to “Bye Bye Love” for his Dark Horse album in which he excoriates Eric Clapton for having an affair with Pattie Boyd, who was then Harrison’s wife. It’s a nasty little work about a nasty chapter in Rock history. Brian Wilson gave unrestrained voice to all the romanticism, simplicity and hope of the early 1960s. Gram Parsons, dead for 40 years, has never been more alive. He directly and powerfully influenced Keith Richards of The Rolling Stones. John Lennon told Keith his guitar solo sucked. Springsteen says it is brilliant. Chuck Berry loved the update of his sound. It challenged The Beach Boys' Brian Wilson, who believed he couldn't touch it: "The greatest record ever made. No one will ever top that one." It makes you yearn to go back in time to that one night in your life that was something even greater than magic.